Key West: Vandy Double Dip! Wreck Dives – 2 tank boat dive – double dip on the Vandenberg, which is an advanced dive. The top of the wreck is 97 feet. **** Without an AOW cert or higher – you would be required to hire a guide on the Vandenberg. **** Required to have done a dive within the last 12 months. **** Required to have some dives under your belt outside of your certification dives or refresher may be required. 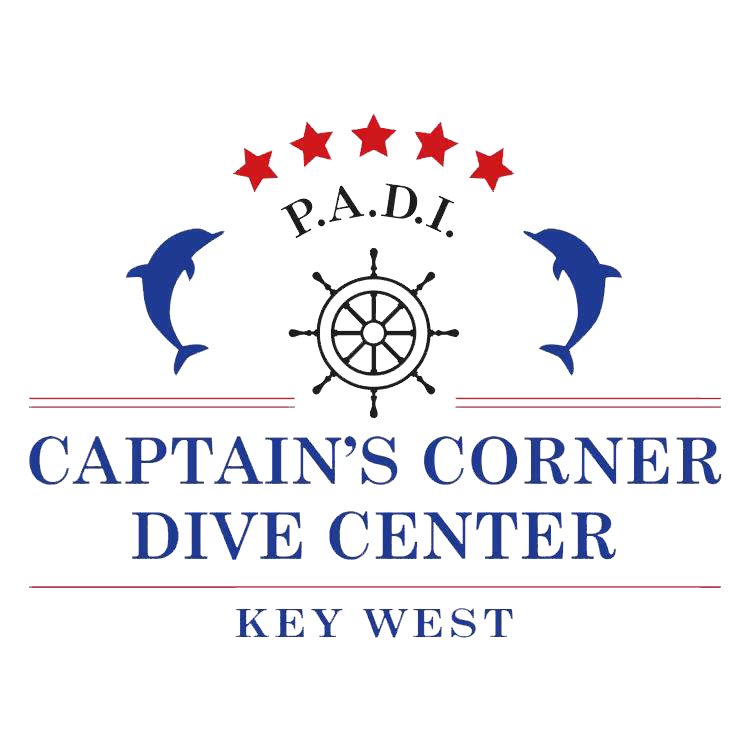 Captain’s Corner has been in operation since 1985 as a PADI 5 star Dive Center and has Key West’s only on-site training pool. We offer a full range of scuba diving courses from Discover Scuba Diving and Open Water Certification all the way up to Dive master, as well a variety of specialty courses. We pride ourselves on having the best instructors, guides and boat crew on the island. Already certified? Just hop on our boat and admire the third largest coral barrier reef in the world. The reefs sites we go to are located within the National Marine Sanctuary, which means they’re protected area’s and therefore have a spectacular coral and fish life. Or dive the Vandenberg, this wreck was rated as the number 1 wreck in the world by the readers of Scuba Diving Magazine. She’s the second largest artificial reef in the world and bucket-list dive for many experienced divers! 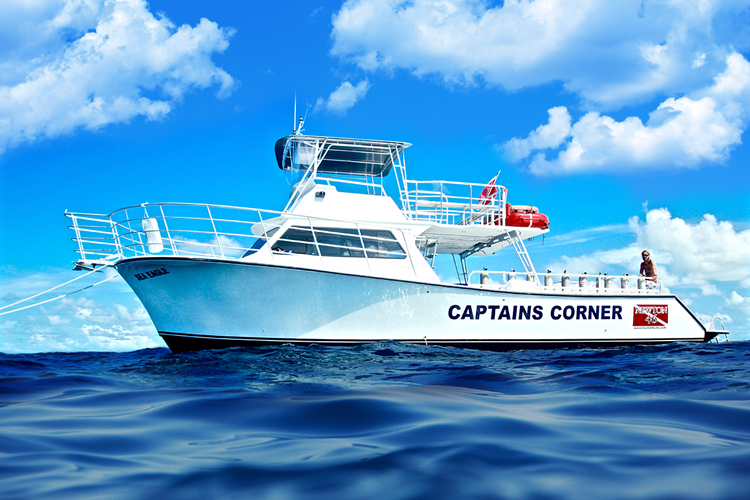 Captain’s Corner is a fully equipped professional dive training facility and has been a PADI 5 Star Dive Center for more than two decades. Our classes are small and personal and start every day. The pool and classroom are conveniently located in a lush, quiet tropical environment downtown, just a block off Duval Street and two blocks from our boat dock a the Key West Bight Marina. The Sea Eagle is a Newton 46’ Dive Special. This dive boat is roomy & comfortable. She has 2 levels so that our guests can enjoy plenty of sunshine or stay in the shade. Amenities include a camera table & rinse bins, two large dive ladders, swim platform, enclosed marine head (bathroom), fresh water showers, spacious bow, and state of the art electronics. She uses twin Cummins engines which supply over 800hp. This custom dive boat has every amenity a diver needs! Vandenberg, 2-tank, double dip. Min. check-in is 30 minutes in advance - Please don't be late! Local reef dive, 2 tanks, 2 reefs, 20-40 feet. Min. check-in is 30 minutes in advance - Please don't be late!